PUTIEN is a Singapore restaurant with its roots traced back to the city of Putian, a coastal suburb in Fujian, CHINA. Currently, one of the most well-known Fujian restaurants in ASIA, it currently has more than 53 outlets and growing. In Singapore, the jewel of the restaurant is the outlet at Kitchener Road. It has won numerous prestigious awards, including Michelin One-Star Restaurant in 2016, 2017 and 2018. Personally, I have visited other branch of PUTIEN, however, this is the first time I ever tried the food in Kitchener Road. PUTIEN Lor Mee ($9.80 for Small, $19.50 for Medium and $28.80 for Large). A must order dish when you dine in PUTIEN. 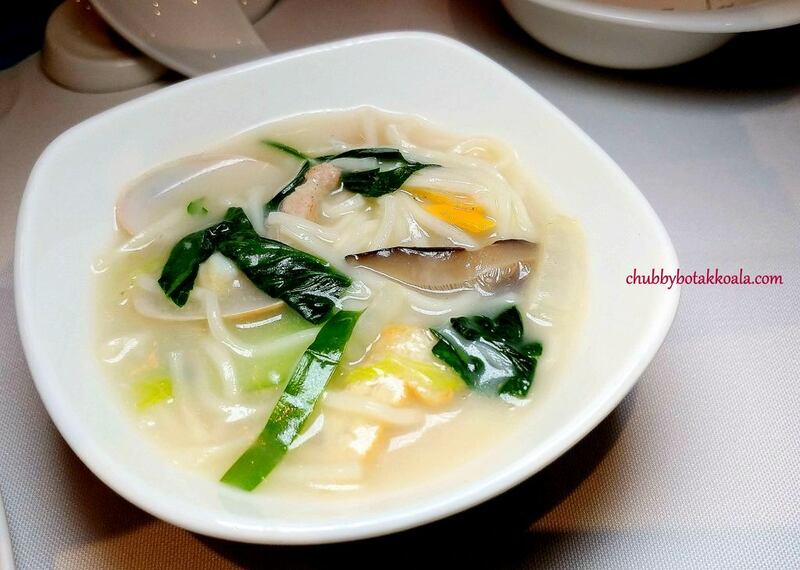 The noodle is cooked in a rich milky stock, together with the fresh clams. You will also find dried shrimp (Hae Bee) and small scallops that gave the broth its umami flavour. Fried Heng Hwa Bee Hoon ($9.80) is a very popular dish for a Heng Hwa restaurant in Singapore. The bee hoon is smooth with a touch of springiness, bursting with flavours from the broth it is cooked with. Simple looking, yet delicious. PUTIEN Bian Rou Soup ($4.80 per pax). The first time I tried this soup. Looks like a mini wanton, however, the wrapper is made of pork meat. It is good, but pork flavour in the skin is very delicate not recognisable at first. After a few bites, you will notice the uniqueness of the wrapper. Seaweed with Mini Shrimps Dressed with Sauce ($7.90) and Stir-fried Yam ($13.90). The seaweed is an appetizing starter, as the chilled seaweed is tossed mini shrimps and vinegar dressing. While the stir-fried yum, is a fusion between sweet and savoury with crispy and crunchy. ‘100-Second’ Stewed Yellow Croaker ($13.80). 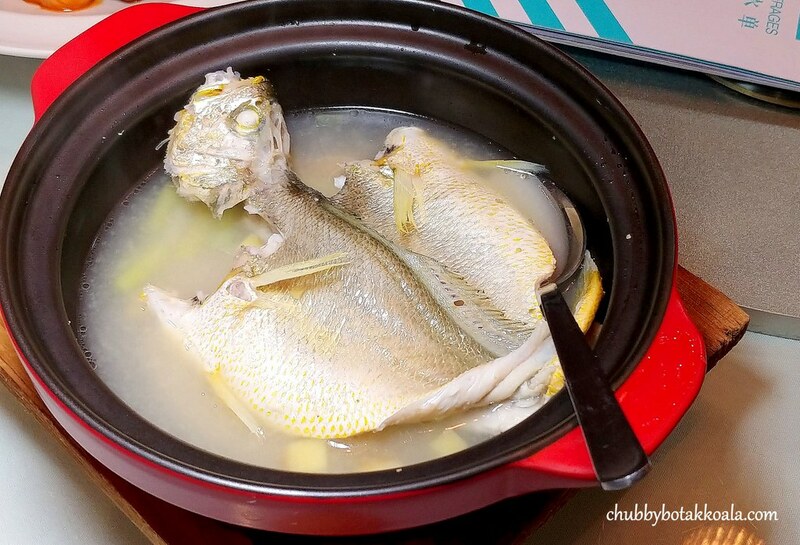 The yellow croaker fish, butterfly, and steamed in a claypot for 100 seconds. The result is a perfectly cooked fish with tender and almost boneless flesh. The broth can be drink as a soup as well, without worrying about the fishy aroma. Yum Yum. Deep Fried Pork Trotters with Salt and Pepper ($6.50 per piece, min order 2 pcs). This dish only uses the front hind trotters. The skin is crispy, while there is not much meat on the hind, you will be sinking your teeth into the tendon and collagen. PUTIEN Sweet & Sour Pork with Lychees ($13.90 for Small, $20.90 for Medium). Tender and succulent sweet and sour pork. The sweetness added a different type of sweetness to this dish. Spinach in Supreme Stock ($13.90 for Small, $20.90 for Medium). 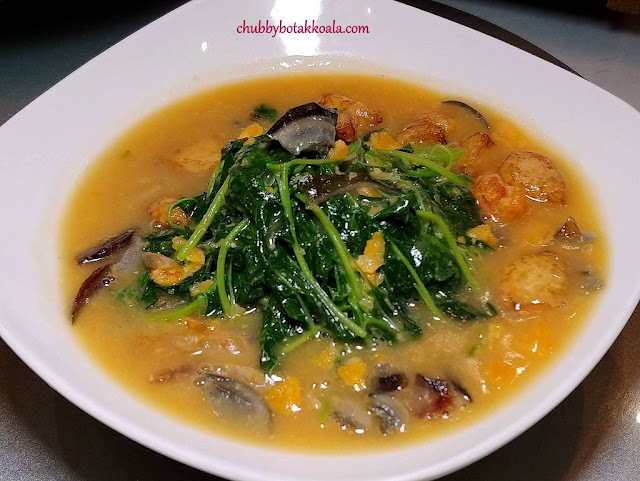 Spinach cooked in the egg infused broth with salted egg and century egg. While this is a common dish in most of the restaurant, I have to admit the blend of the egg in the broth gave this dish in PUTIEN a slight edge. A flavour bomb vegetable dish indeed. Overall, dining at PUTIEN Kitchener Road is definitely different from other PUTIEN outlet. I visited the outlet at Parkway Parade a few times, however, it seems the dishes at the Kitchener branch is another level higher. Not only the food is delicious, but the price is pocket-friendly as well. If you like PUTIEN, give this branch a try. During the Mid-Autumn Celebration, PUTIEN sale Madam Leng Mooncakes. 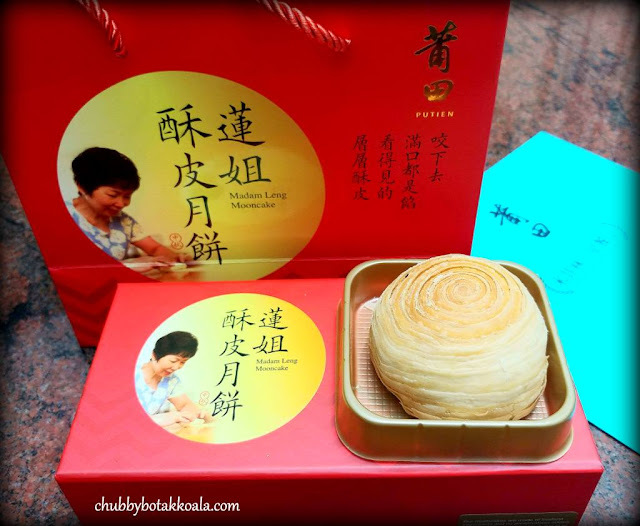 Founded by Madam Leng Ah Eng, the longest-serving stalwart in PUTIEN, she has been making her Teochew style mooncakes for almost two decades. 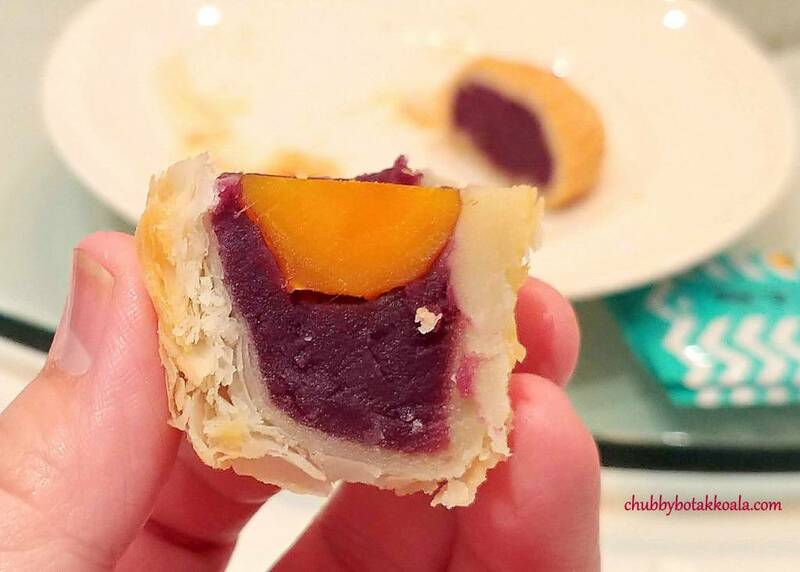 It comes in two flavours: Yam and Purple Sweet Potato (with/without single salted egg yolk). The fillings are made using Thailand’s Premium Taro and Japan’s First Grade Purple Sweet Potato respectively. These mooncakes are in demand during the Mid-Autumn Celebration and this year, it sold out one week before the actual day of Mid-Autumn Festival. 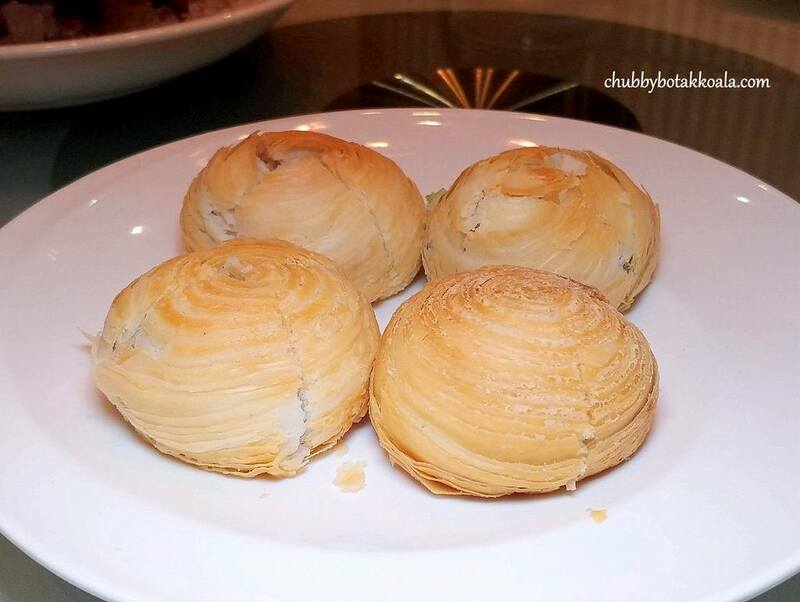 As no preservative is used in the mooncakes, it is best consumed within 3 days of purchase. So, keep this in mind and try out Madam Leng Ah Leng mooncakes for Mid-Autumn Celebration 2019.